The Philippines must continue to monitor the health of 833,000 Filipino kids who received Dengvaxia and may be at risk of contracting severe dengue, a former health undersecretary said Friday. Dr. Susan Mercado, former Health Undersecretary and public health expert, said monitoring of Dengvaxia recipients is important as health authorities continue to find out more about the vaccine's effects less than 2 years after the launch of the government's dengue immunization program. Mercado said that during the clinical trials for Dengvaxia, patients were always informed beforehand about the possible adverse effects of the new drug or vaccine. All of the kids who underwent clinical trials were healthy, she said. "Sa clinical trials, lahat ng bata na ipinasok ay malulusog, binabantayan ng doctor at may full parental consent," she told radio DZMM. She also pointed out that the clinical trials were not yet finished before the P3.5 billion dengue immunization program was rolled out. Mercado noted that in the Philippines, there was no nationwide check on Filipino schoolchildren if they had already contracted dengue or had pre-existing illnesses before they were administered the vaccine. "Hindi pwedeng ibigay na basta-basta sa sinumang bata. Nakita natin diyan, may congenital heart failure, nabigyan ng Dengvaxia. Meron may lupus, nabigyan ng Dengvaxia. Meron may cancer, nabigyan ng Dengvaxia. 'Yun ang issue. Hindi natin alam kung ano ang kalusugan ng mga bata na binigyan natin ng Dengvaxia," she said. 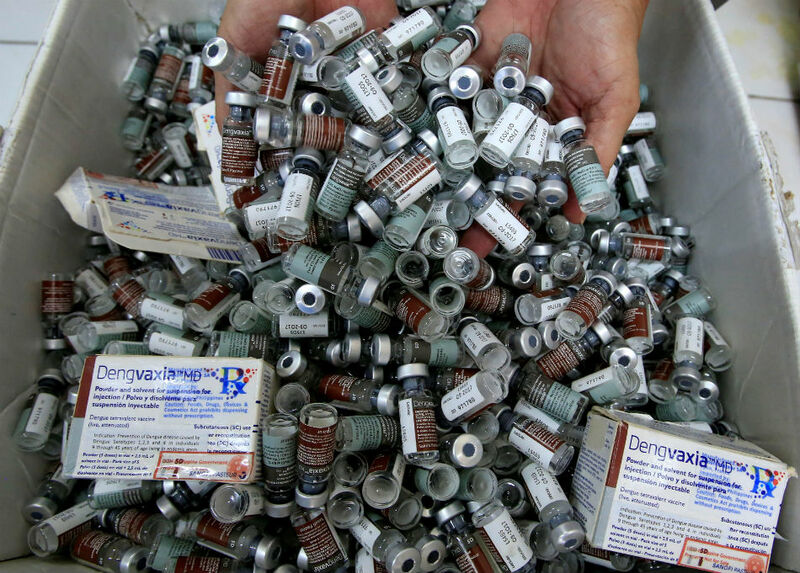 The Philippines suspended its nationwide dengue vaccination program last December 1, 2017 after vaccine maker Sanofi warned of risks of severe dengue if Dengvaxia is administered to children who had not yet been exposed to dengue. Sanofi has also refunded P1.16 billion to the Philippine government for unused doses of the dengue vaccine. Health Secretary Francisco Duque III, however, said Sanofi should pay back the full P3.5 billion for the Dengvaxia program or risk facing a lawsuit. On Friday, the Department of Health said 3 of 14 kids who were administered with Dengvaxia died of dengue. "Tatlong kaso ay nakitaan ng causal association. Sila ay namatay sa dengue kahit sila ay nagbigyan ng Dengvaxia. Dalawa sa kanila ay maaaring dulot ng vaccine failure," said Health Undersecretary Enrique Domingo. Mercado noted that 6 of the 14 children died within 30 days after receiving Dengvaxia. "They claim these children had pre-existing illness. These children should not have been given Dengvaxia. This is program failure; sick children should not have been given Dengvaxia," she said in an ANC interview. She also warned that monitoring of kids is important since the dengue season has yet to start in the Philippines. The health expert defended Duque's decision to suspend the dengue immunization program due to possible risks to Filipino schoolchildren who had not yet contracted dengue. She also warned against lumping together Dengvaxia with routine vaccines with proven efficacy that are included in the government's immunization program, including vaccines against polio, diphtheria, German measles, mumps, rubella, etc. "Ang mga bakuna na ito ay matagal nang ginagamit kaya hindi dapat matakot ang mga nanay sa mga bakuna," she said. She warned that immunization rates in the Philippines have fallen from 95% during the Ramos administration to 62% in the second Aquino administration.